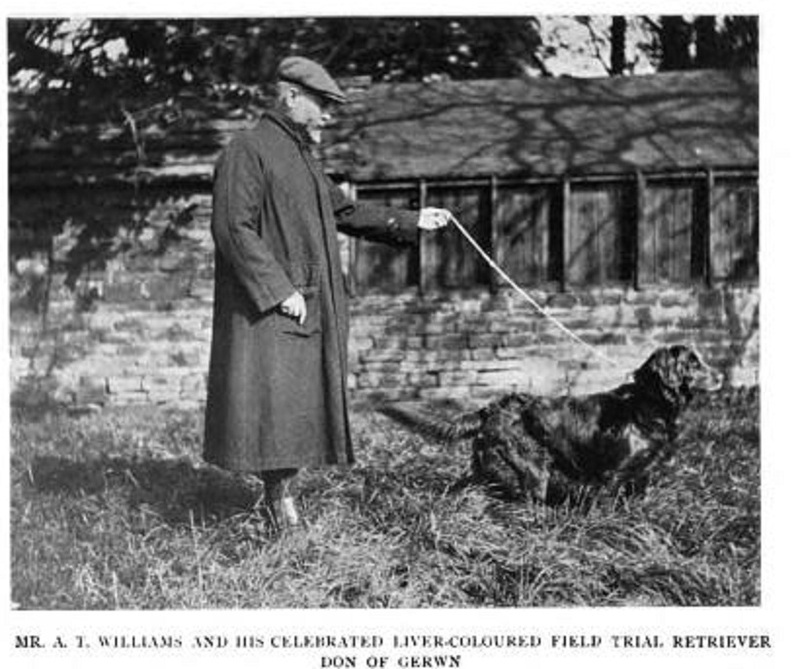 This dog won the retriever stake at the International Gundog League trials in 1904. His dam was a liver flat-coat named Rust. His sire was a yellow flat-coat named Lucifer, who was bred by none other than Dudley Marjoribanks, the 1st Baron Tweedmouth. He was half “golden retriever.” Golden retrievers didn’t then exist as a breed but were a type of wavy or flat-coated retriever that was starting to gain prominence. Because of Don’s color and that of his dam, I wonder if Lucifer may have been a brown-skinned yellow. If he had been a black-skinned yellow, Don would have been black. Of course, Lucifer could have been a black-skinned yellow that carried the brown-skinned gene, but that would mean that the majority of his litter mates would have likely been blacks.